The Autism Community Walk, Inc. is a 501(c)(3) nonprofit organization created to address the many unmet needs of people living with autism, and related disorders, and their families. Our needs are diverse and complicated, but they boil down to two basic problems: inadequate resources, and insufficient representation in public arenas where important decisions are made that affect us. Autism Community Walk seeks to address both needs by creating a way for the nonprofit organizations that serve individuals with autism and related disorders, and their families, to raise funds in an easy way at no-cost to themselves. We also aim to provide a way for families and people affected by autism to get the ongoing representation before New York legislators, the State Regents, and other powerful decision-making bodies where our families are rarely heard. Here’s how it works: We are all familiar with fundraising walks for worthwhile causes. Usually walks raise funds for one organization, and one organization only. 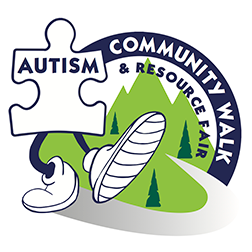 Autism Community Walk will partner with nonprofit organizations offering an 80/20 split of any funds raised by teams sponsored by our partners. Autism Community Walk pays all the upfront costs. So if your organization is looking for a fun and easy fundraiser, with no cost to you, as well as a desire to support the many needs of individuals and families dealing with autism and related disorders please put together a team at Start a team and join us for our third annual walk at Belmont Lake State Park on Saturday, October 20, 2018! There are a large number of nonprofit organizations that serve people with autism and their families, everything from SEPTAs, to schools, to research organizations, to direct service organizations. Resources are always a pressing need. And our needs are growing: adult housing, research, employment, safety, pre-school services, special education budgets and standards, access to health care, Medicaid-- all are mightily affected by decision makers, and our families need a strong voice. We want to assure that there is a strong and consistent voice for people with autism and related disorders and their families. In 2018 we met with all 213 of the 213 New York State Senators and Assembly members, or their staffs, as well as the Governor’s Office, the Chancellor, Regents, and multiple agencies. And with your help we will continue working for the autism community. So please start a team of your own and ask any organizations you support to take advantage of this easy and fun fundraiser.